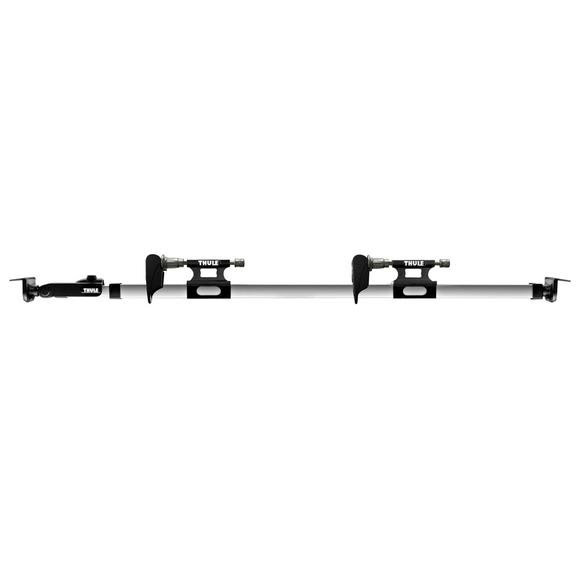 Carry 2 bikes in the bed of your pick-up truck with no bolting or drilling with this integrated Thule locking fork mount carrier. 3 One-Key lock cylinders included to lock the bikes to the carrier and the carrier to the truck. Measurements 50.3" x 4" x 4"